Black Country Type is an ongoing photographic project by Tom Hicks. I first came across him on Instagram: like many artists Tom uses social media to share and exhibit his images, with both a local and global audience. 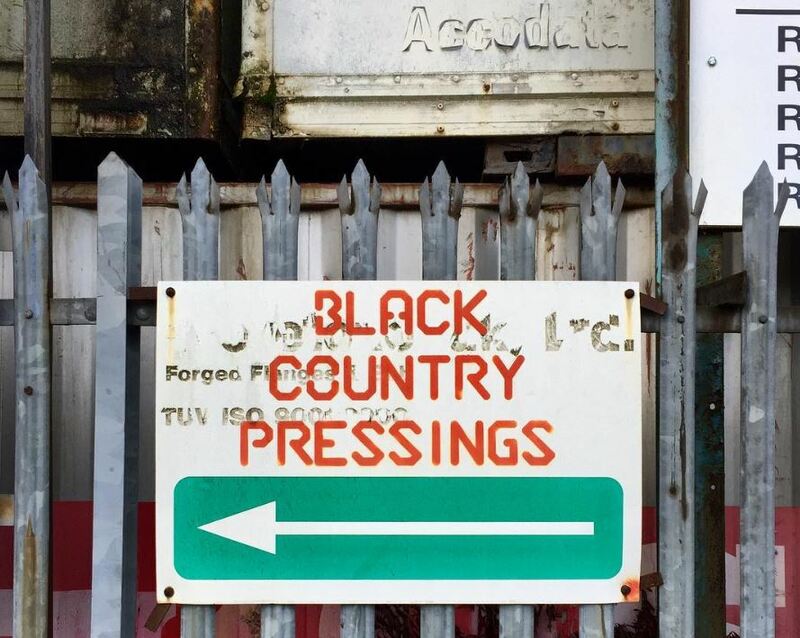 His curated Instagram tiles tell a story of the Black Country’s identity and history through photographs of signage, lettering and grafitti in the environment. “The shops featured Fifties and Sixties signs and seemed to offer a real glimpse into the past. The buildings have now been demolished (I managed to save one and now have a ten foot wide sign for a Cobblers’ shop in my garden!)”. An avid reader and writer, Tom felt “naturally attracted to the written word” and combined with an interest in design, this led him to look for examples of classic typefaces and traditional signwriting in the region. He began to share his as exploration and visual record of the area north and west of Birmingham, including Dudley, Walsall and Sandwell, via social media. His images also archive the cultural history of the area, the impact of industrial decline, and the disappearance of the high street. They show the traces that people leave in the environment, particularly with hand-painted signage and handwritten typography. Many of the photographs are humorous, creating reactions in and conversations between viewers, both on and offline. Some people identify with the locations – shops, cafés and factories – as they remember them in their heyday. To give Tom’s work some art historical context, I will need to refer to a rather pretentious-sounding word, psychogeography. “All of the images are taken whilst cycling – it gives a real freedom and it allows me to explore large areas in a day. I think there’s also something about being able to change direction quickly that means it’s a flexible way to see things. I wouldn’t be able to move as freely in a car or cover as much ground on foot. Some of my best subject matter has been produced when I’m lost – or at least unsure of where I am”. In terms of influences, Tom shares his interest in the work of the German conceptual artists and photographers Bernhard “Bernd” Becher and Hilla Becher, who worked as a collaborative duo. They are best known for their extensive series of photographic images, or typologies, of industrial buildings and structures, begun in the 1950s. Their images were often organised in grids, in rows of 3, much as Tom’s photographs appear on Instagram. He is also a fan of the aesthetic of George Shaw. A contemporary painter from Coventry, Shaw’s semi-realist paintings of the suburban environment of the Midlands gained him a nomination for the Turner Prize in 2011. His paintings of the Tile Hill council estate where he grew up, bus stops, underpasses and garages, are devoid of human life. Similarly, Tom Hick’s project is a portrait of place, and of time passing, with signage marking the identity of the Black Country’s people and communities. As well as creating conversations with local groups and people from the Black Country, Tom’s project has been receiving recognition and interest from many quarters, and particularly from graphic designers, architecture fans, historians and photographers. In 2018 this resulted in a number of exhibitions, including a solo show at Zellig in the Custard Factory as part of the Birmingham Design Festival and another at the Birmingham & Midland Institute . Tom’s photography has also come to the attention of magazines and he is featured in the Summer edition of Fused, the magazine dedicated to art, design and culture. He has also been made the subject of the new edition of Provide magazine. Provide is a magazine dedicated to showcasing new artistic talent in the Midlands and issue 3 is solely dedicated to Tom’s work. With many thanks to Tom Hicks for images and answers to questions.